Hello, chickens! Where does this Sunday find you? I am cuddled on my couch, exhausted, and a wee bit sick with a lovely, I've overdone it summer cold. I had a busy, busy week, with a surprise last minute edit of TEAR ME APART. That happens sometimes. The release date moving up means all our regular dates got thrown out and we're all working double-time to get the book done and in your hands. But it is DONE! And I think it's actually pretty good. I'm a terrible judge of my own work, and this one's been playing mind tricks on me for months. But with the help of my fantastic editor Nicole, we've got it together. So with that, on to the links! Here's the latest news and bookish goodness! Neil Nyren Spotlight: Owen Laukkanen. I’m looking forward to reading Gale Force—and hello Neil Nyren, byliner. There's nothing more fun than seeing a fabulous editor finding a second career! An Affable Canadian Author With a Penchant for Murder. Always lovely, always a joy, even when she’s breaking your heart. That’s Louise Penny for you. Class act, all the way around. Being Bored Is Fun and Good, Sorry. OK, this is hysterical. I agree that boredom is a great thing, and necessary, but this essay takes it to a new level. Gillian Flynn, Amy Adams and Patricia Clarkson Aren’t Afraid to Tackle Big Topics. It’s going to be an important year in books and film portraying women and emotional darkness. My own book, TEAR ME APART, goes to some very dark places, and is a study in women's friendships, mothers and daughters, sisters, the works. I'm excited by the timing, because I think it's time to start addressing these issues. The Best Mystery Audiobooks for Road Trips. Great books on this list! I am such an audiobook convert! A Librarian’s Top 5 Tips to Help You Build a Home Library. "As a librarian, I have a particular soft spot for geeking out about building a DIY home library, so get ready: this is some next level bookshelf and bookcase nerd." Say no more! 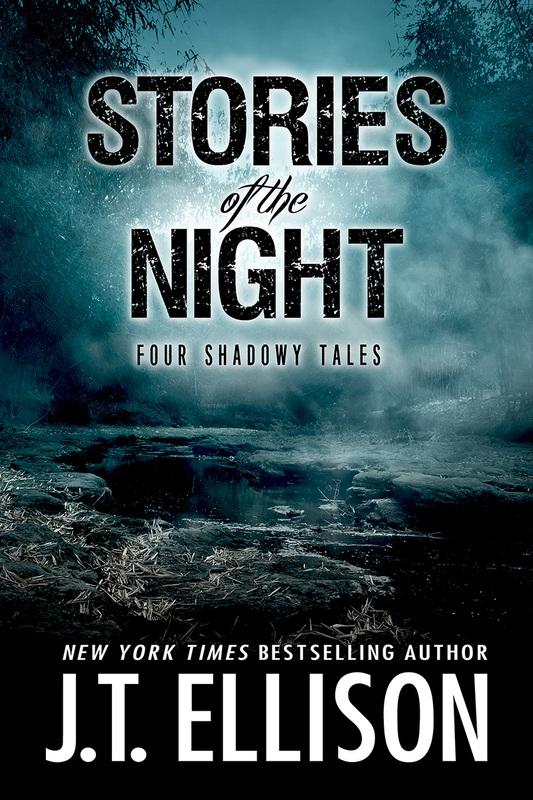 Some exciting book news - the paperback and ebook of STORIES OF THE NIGHT: FOUR SHADOWY TALES is ready, and the audiobook will be out this week! Features my newest short story “Catwood,” as seen in DEAD ENDS: Stories from the Gothic South! The German translation of NO ONE KNOWS is here! (yes, again...) It's available in ebook and paperback. It's a new edition, too, so if you already purchased, please update your file! And don't forget: Goodreads has a giveaway for TEAR ME APART. Good luck! And speaking of Goodreads... please consider adding TEAR ME APART to your bookshelves. You doing so really helps raise awareness for the book. Oh, speaking of awareness... the June newsletter is coming out this week! FYIs.... If you're not signed up, I'd love to have you. That's all for now! Here's hoping this next week treats you well. Make something -- a poem, a cake, a bed. It will make you feel good.